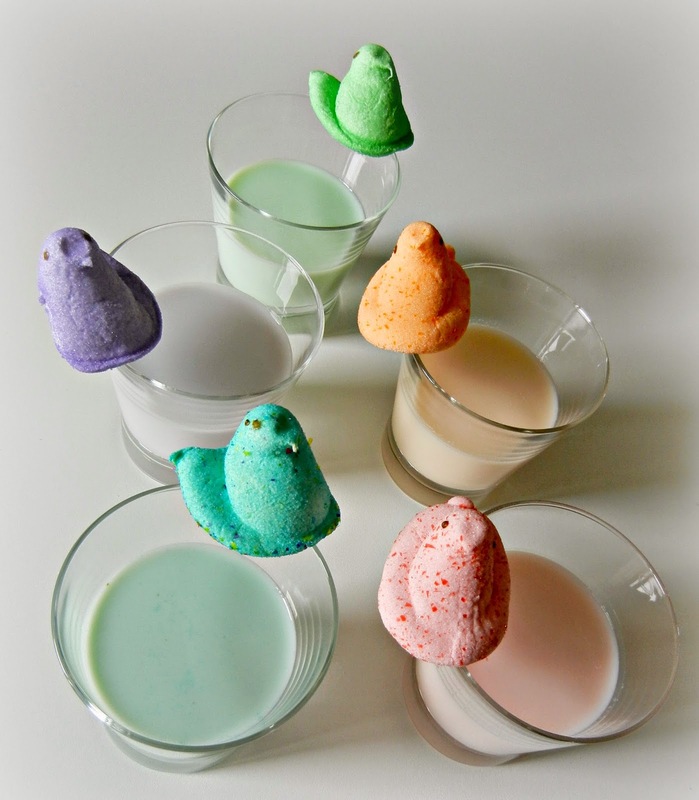 Do you love all the new Peeps flavors that keep popping up everywhere?? 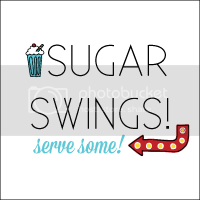 If so I have a super simple treat for the Peeps lovers out there. 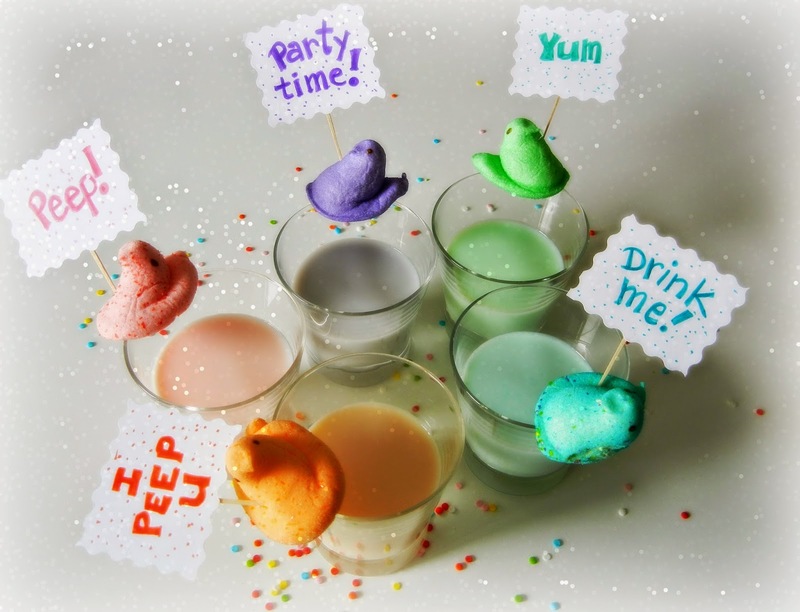 Peeps flavored milk! And by simple, I mean simple. Add some milk to a cup. Dunk 1-2 Peeps in the milk for about 1/2 hour. 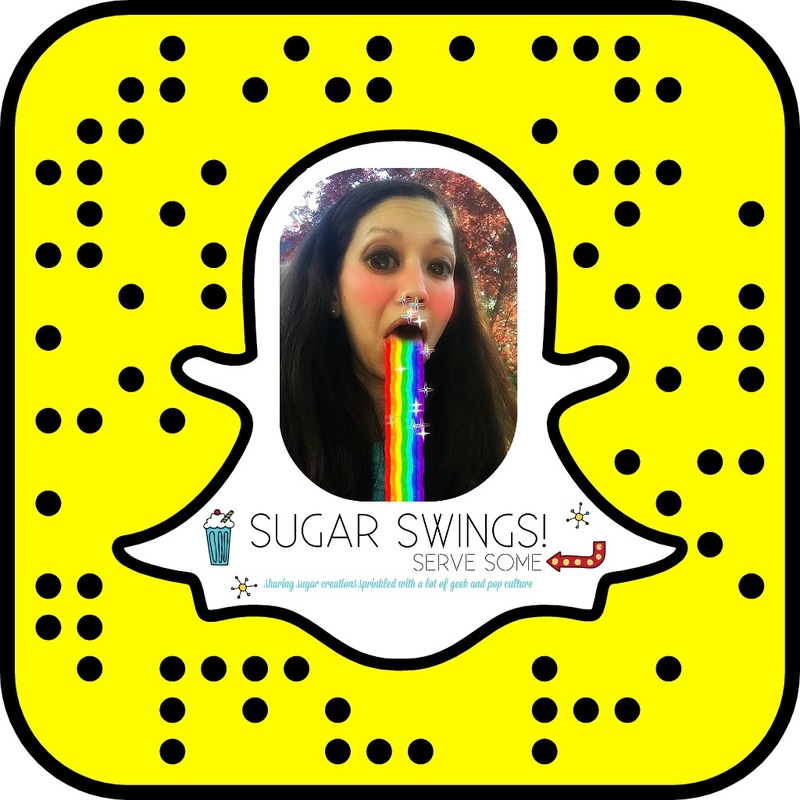 You get some really cool rainbow colored milk AND it was a fun way to try some of the new flavors like Party Cake, Orange Creme, Sour Watermelon, and Strawberry Creme. Find all the available Peeps here. 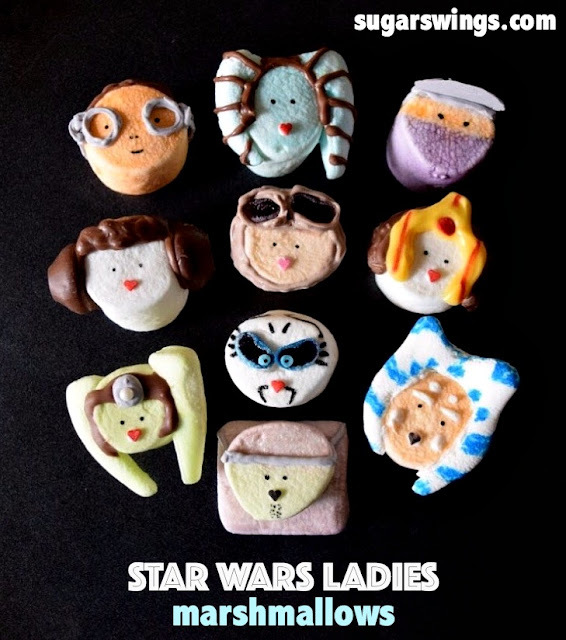 They also make for a fun Peeps par-tay! 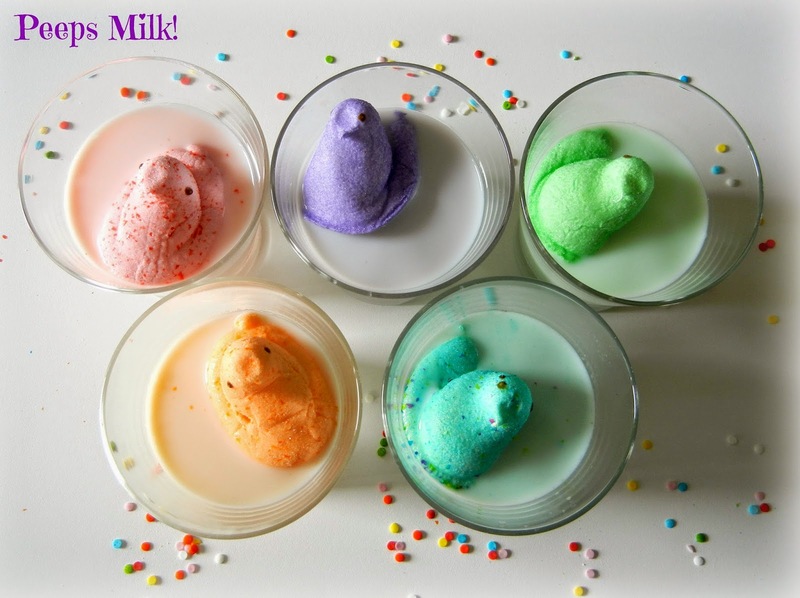 If you like cereal milk, you will love this Peeps milk! Although I've done a gagillion Peeps treats over the years, this is the first one using the chicks. Sorry Peeps chicks, I think I've been discriminating against you all this time - hopefully this makes up for it. 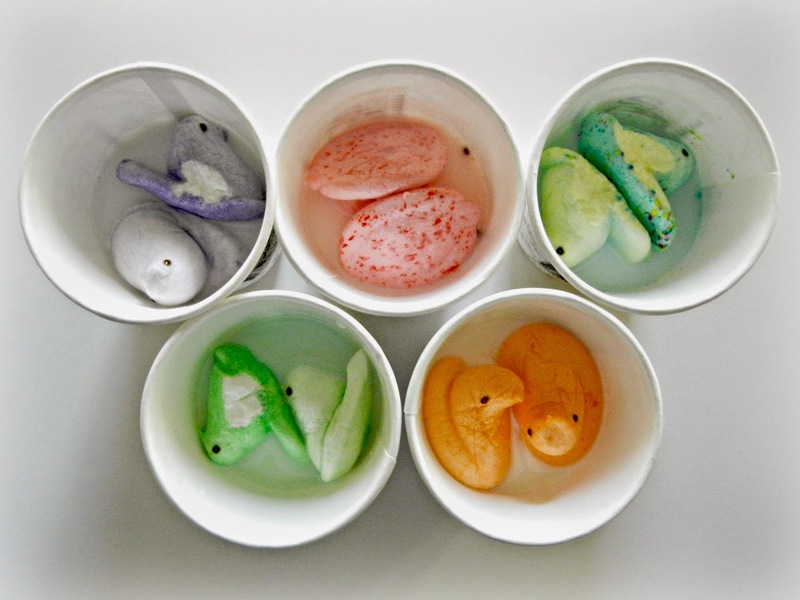 Also just a fun Peeps fact, if you do dip your Peeps into milk (or probably any liquid) their eyes will float off into the liquid. A little odd to see that floatin' around in the milk!